In this ESL lesson plan for adults and teens, students watch a video and do a listening exercise about a dog-surfing event. It includes discussion questions and conversation activities about dogs and pets. Students also learn some important vocabulary terms related to this topic. The grammar exercise features the present perfect continuous. In the cooperation activity students can give a speech, have a call, or 'speak' from a dog's point of view. Welcome to the 7th annual 'Dog Surfathon' which is a fun event designed for all different breeds but who have one thing in common - they are surfing dogs! 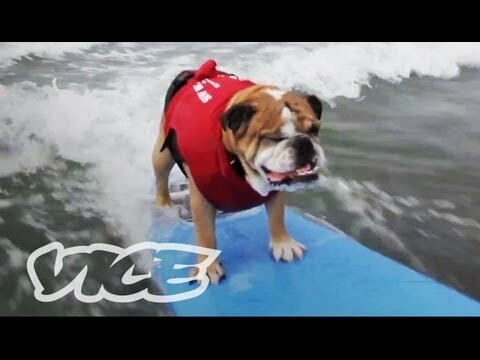 A fun video watching dogs chillin' on their surfboards and riding waves. In these ESL lesson plans for adults and teens, students watch a video and do a listening exercise about a man who starts a little league baseball league in a city filled with crime. It includes discussion questions and conversation activities about crime, teenage life, and baseball. Students also learn some important vocabulary terms related to these topics. The grammar exercises feature superlative adjectives, used to + base verb, and past perfect. In the cooperation activity students can make an interview, and create a new movie genre + plot. Camden, New Jersey - known as the most dangerous city in the USA. Bryan Morton, a resident of Camden, grew up and went through a big life struggle as a teenager - he used to deal drugs and then had to spend years in prison. When he got out, he wanted to give something positive back to the community. So he started a baseball league to help lead children away from crime and down a different path than his own. *Most suitable for intermediate - advanced students. Suitable for ages 16+. This topic can contain sensitive subjects. Please use at your own discretion and consider if the topic is appropriate for your student(s) or class. A correspondent from Business Insider gets to meet Sofia for the first time, and he has some questions for her about her feelings, preferences, humans, as well as the hit TV series Black Mirror and Westworld. On the surface, Sofia seems to be a nice, caring, and compassionate humanoid robot. See if your students think the same. In this ESL lesson plan for adults and teens, students watch a video and do a listening exercise about an interview with Sophia, the humanoid robot and her creator. It includes discussion questions and conversation activities about artificial intelligence and robots. Students also learn some important vocabulary terms related to these topics. The grammar exercise features question formation in the present simple. In the cooperation activity students create questions and have a conversation. In this video you get to meet Sofia, a real humanoid robot, and one of her creators from Hanson Robotics. Sofia awakens and has a short, but philosophical conversation with her creator. In this lesson, you find out what kinds of questions your students would ask a humanoid robot and what they think about this advanced technology. 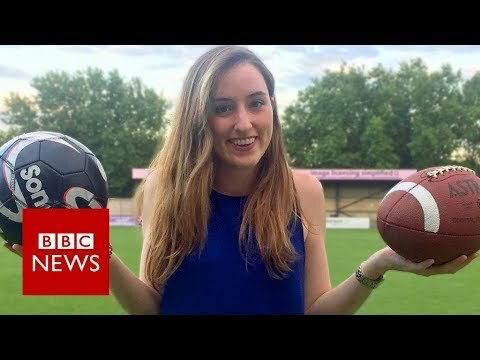 US soccer: Will Americans ever care about football? In this ESL lesson plan for adults and teens, students watch a video and do a listening exercise about soccer, rugby, and American football. It includes discussion questions and conversation activities about soccer, rugby, and American football. Students also learn some important vocabulary terms related to these topics. The grammar exercise features the difference between while and as. In the cooperation activity students make a report on a controversial sports topic. Soccer is known to be the 'world's most popular sport.' Ever wonder why this isn't true in the USA? This report investigates the evolution of American football compared to soccer and what differentiates it the most from soccer. Does soccer have a bright future in the US and will it ever be able to 'dethrone' American football? 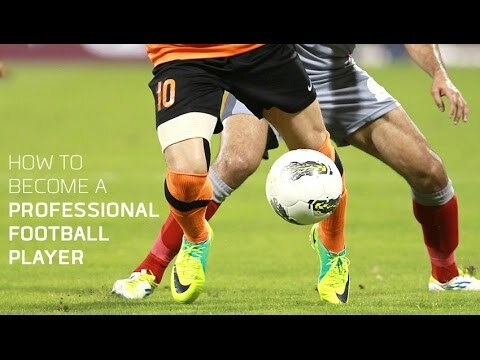 In this ESL lesson plan for adults and teens, students watch a video and do a listening exercise about becoming a professional soccer player. It includes discussion questions and conversation activities about soccer and setting goals. Students also learn some important vocabulary terms related to these topics. The grammar exercise features verb patterns (gerunds & infinitives). In the cooperation activity students can make a speech or make a story. As a boy, Nick Humphries dreamed of becoming a professional soccer player, but he faced a big challenge - he didn't even make the cut for his region's squad. Although he didn't make the team, he kept imagining what it must be like to play in the big leagues which pushed his will to succeed. With hard work, dedication, and passion he turned his dream into a reality. In this ESL lesson plan for adults and teens, students watch a video and do a listening exercise about how soccer brings people together. It includes discussion questions and conversation activities about the World Cup and soccer. Students also learn some important vocabulary terms related to these topics. The grammar exercise features present simple vs past simple. In the cooperation activity students can create questions and have an interview. The World Cup of soccer is such a great global event not only because of the sport, but also because it builds intercultural bonds between people. 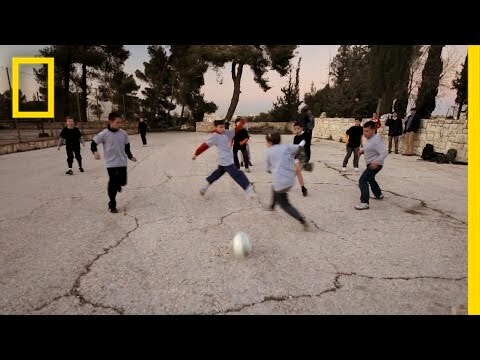 Aziz Abu Sarah shows how race, religion, and language don't matter when it's time to play the world's most popular game. In these ESL lesson plans for adults and teens, students watch a video and do a listening exercise about how commuting impacts our life. It includes discussion questions and conversation activities about commuting and travel. Students also learn some important vocabulary terms related to these topics. The grammar exercises feature present simple vs continuous, the first conditional, and a review of tenses. In the cooperation activity students can create a personal lifestyle or make YouTube comments. Let's face it - we all know commuting isn't much fun and can be really stressful. Anyone who commutes long distances regularly knows how big of an impact it has on your lifestyle, but so many of us still continue to do it. How can we make the most of our daily commutes to work and school? In these ESL lesson plans for adults and teens, students watch a video and do a listening exercise about what happens to social media accounts when someone dies. It includes discussion questions and conversation activities about social media. Students also learn some important vocabulary terms related to these topics. The grammar exercises feature how to use 'have something done,' prepositions, and how to use 'would.' In the cooperation activity students can do an interview, create a chat, or create a story for a movie. There are over 2 billion users on Facebook today. Social media continues to grow and evolve, and one of the next steps in the evolution has become "dead social" - a network that lets you program what happens to your online digital legacy beyond the grave. One woman even created an online "chat bot" of her friend, allowing her to communicate with her friend after he passed away! *Most suitable for intermediate - advanced students. Suitable for ages 18+. This topic can contain sensitive subjects. Please use at your own discretion and consider if the topic is appropriate for your student(s) or class. Creating a Website, Doing an Interview, Making a Video Concept. In these ESL lesson plans for adults and teens, students watch a video and do a listening exercise about burgers, food, and vegetarianism. It includes discussion questions and conversation activities about burgers and vegetarianism. Students also learn some important vocabulary terms related to these topics. The grammar exercises feature the difference between state / action verbs and prepositions of place. In the cooperation activity students can create a website, do an interview, or make a video concept. A burger that looks, smells, tastes, and even "bleeds" like a beef burger, but made entirely from...plants? That's impossible, right? Well - not exactly. 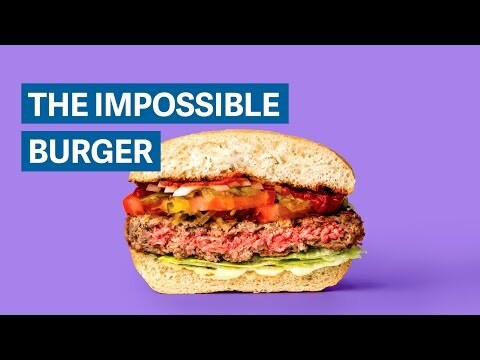 The Impossible Burger is a trendy plant-based burger now on the market, which creates the same exact sensory experience as eating a normal burger. In these ESL lesson plans for adults and teens, students watch a video and do a listening exercise about the video rental chain, Blockbuster. It includes discussion questions and conversation activities about media and video rentals. Students also learn some important vocabulary terms related to these topics. The grammar exercises feature present perfect vs past simple, past simple vs continuous, and present perfect vs past perfect. In the cooperation activity students can give a speech, have a meeting, or make an interview. Blockbuster - the biggest video rental chain in the US was a big part of American culture back in the 80's, with thousands of stores making big profits across the country. When digital streaming came along, Blockbuster was forced into bankruptcy, but that doesn't mean it was completely wiped from the map. One of the last standing is in Alaska. 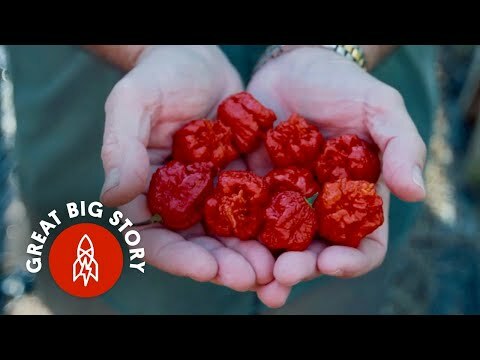 A hot lesson for your students about 'Smokin' Ed Currie and his prized possession - The Carolina Reaper. This is literally the hottest pepper in the world, breaking records on the Scoville Heat Unit scale. This thing looks just downright scary. Your students are sure to get a kick out of this one. 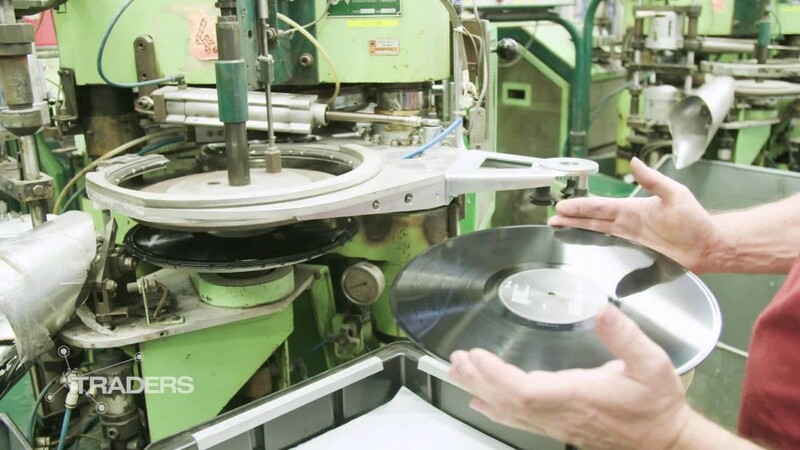 In these ESL lesson plans for adults and teens, students watch a video and do a listening exercise about how vinyl is making a comeback. It includes discussion questions and conversation activities about music, media, and vinyl. Students also learn some important vocabulary terms and expressions related to these topics. The grammar exercises feature the zero-conditional (if statements), the preposition & prefix 'over,' and past perfect. In the cooperation activity students do business planning or a presentation. The recent boom in vinyl record was an unforeseen development in a music industry ever changed by downloads and internet sales. When most factories switched to CDs in the 1990s, Zdenek Pelc believed in the material enough to hold onto his machinery and staff. 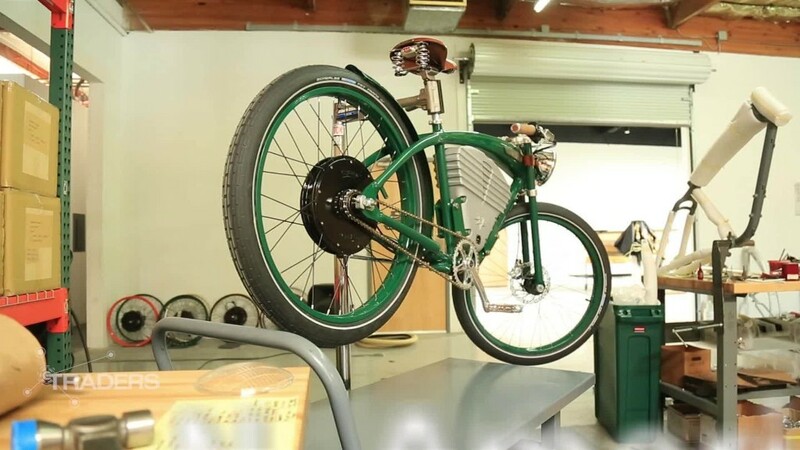 In these ESL lesson plans for adults and teens, students watch a video and do a listening exercise about a man who created a startup company selling retro electric bicycles. It includes discussion questions and conversation activities about bicycles. Students also learn some important vocabulary terms related to this topic. The grammar exercises feature reflexive pronouns and relative pronouns. In the cooperation activity students can create a website or a story. American start up, Vintage Electric, is determined to create hand-made electric bikes in the land where the car is king. The company wants to take a stand against planned obsolescence, designing timeless products that are built to last for generations. Yes, you read it right. 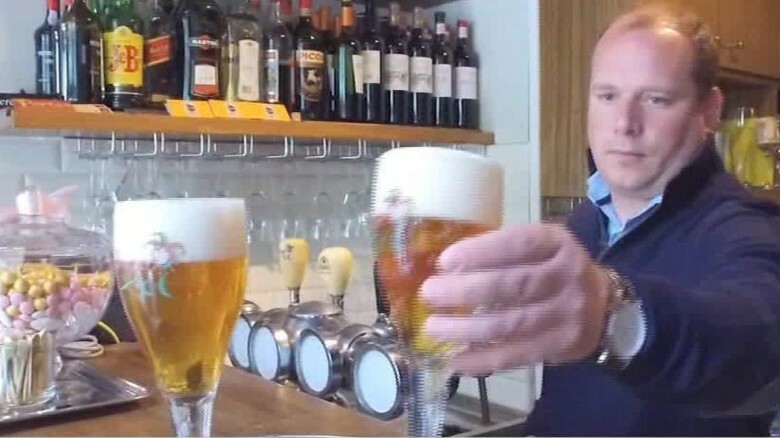 The medieval town of Bruges, Belgium is a popular tourist destination with great beer - beer which can now be tapped out of a two-mile long pipeline built beneath the cobbled streets of the town. Xavier Vanneste, the brewery owner behind this crazy project, talks about his family business and the new pipeline.